Keeping your gear organised and protected is a concern whether adventuring in the Antarctic or out hiking in a balmy summer’s afternoon. 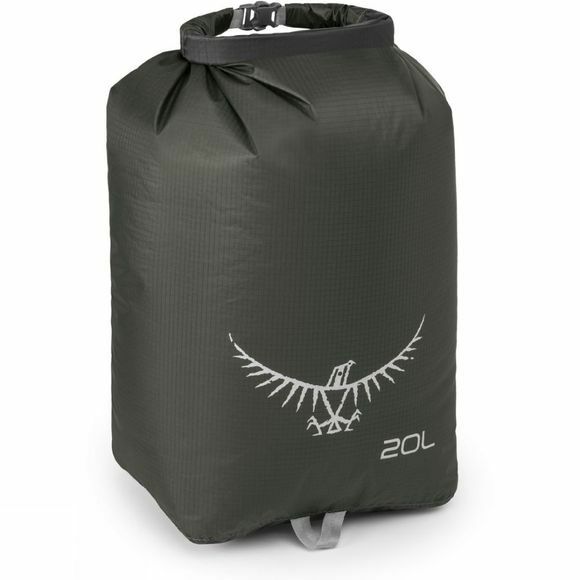 Made from siliconised ripstop nylon, you can trust Osprey's Ultralight Drysack 6L to keep your kit protected and visible even in the darkest depths of your pack. Featuring a fully waterproof roll-top closure, coated fabric and taped seams it will keep your gear dry no matter how wet your pack gets. Unlike other drysacks they have a rectangular shape to give more efficient packing and so that when removed from your backpack they’re able to stand unaided. What’re you waiting for – make sure your gear is protected!